It would be very helpful if you could provide professional estimates for repair of damaged items, this could speed the process of your claim. If the damaged occurred to the items which were packed, retain the box, its contents and packing materials. Especially, if this article was packed by you, since you may have to show that bad packing was not the reason for the damage. You should retain copies of all correspondence with the moving company. Therefore, use electronic mail or in case you are mailing hard copies use Registered Mail with return receipt, to evidence receipt of your claim by the mover. 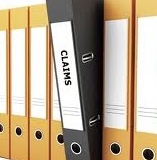 Your mover has to reply to you within 30 days to acknowledge the receipt of your claim and provide you with a firm settlement offer, make a payment in full, or decline to pay within 60 days of receipt of your claim.